He had signed some of the most famous works of the last century, which have become real icons, known at every latitude. 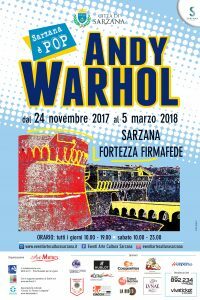 Sarzana, city on the border between Liguria and Tuscany, hosts at medieval Firmafede Fortress, scheduled until March the 5th, the exhibition "Andy Warhol Sarzana is Pop". 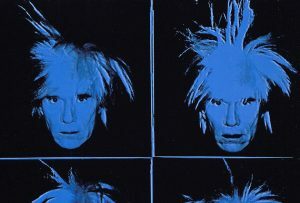 The visitors will make a journey through Warholian production from the 1950s to the mid-1980s, when the pop art prophet died in his New York, leaving a legacy and an impression in the collective imagination - as well as, obviously, in the art - with a few equal, which continues to inspire until today. The exhibition curated by Eugenio Falcioni - one of the greatest collectors of the artist - and Matteo Bellenghi, brings together Warhol's works created with the most disparate techniques, demonstrating its versatility: serigraphs, drawings, Polaroids and photographic acetates, some of them unpublished. With the Campbell's Soup, the most famous and best-known symbol among those who bring her signature, you will admire his famous portraits, among others, those of Marilyn Monroe, Mick Jagger and Mao Tze Tung. But there is also space for the colorful Vesuvius eruption, tribute to Naples and Italy, drag queen portraits of the Ladies and Gentlemen series, made in the mid-1970's in the set within his Factory, illustrations of the fairy tales by Hans Christian Andersen, the Polaroid series with Ron Wood, Silvester Stallone and Grace Jones and the famous self-portrait immortalized, with whom he made himself icon. 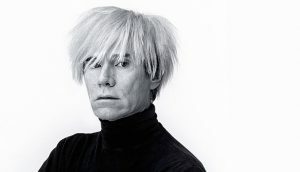 In addition to focusing on the method and the artistic growth of Warhol, the exhibition will be enriched by workshops dedicated to schoolchildren and the possibility to interact with the artworks by inserting a floppy disk on an original Amiga 1000 computer, that will start the projection of the digital designs made by Warhol at the promotional meetings organized by the Commodore. Useful information: Ticket sale: Exhibition Ticket (Earth) at Fortress Firmafede, via Cittadella, Sarzana Tourist Information Office, Sarzana - piazza San Giorgio - tel. 0187-620419 Vivaticket sales points: see list on www.vivaticket.it Online sales by credit card: tel. 892,234, www.eventiarteculturasarzana.it, www.fantoniweb.it Prices: Standard: € 12 Discounted for over 65, disabled, groups min. 20 people: € 10 Groups of schools, students up to 14 years: € 6 Under 24, only on Saturdays from 19:00 to 23: € 5 Family 3 (2 adults + 1 person): € 24 Family 4 (2 adults + 2 children): € 30 For online purchases, a commission of 10% At the Sarzana exhibition, Arbaspàa Tour Operator can host you in its facilities located in the nearby town of Spezia, easily reachable by bus, train and car: try the spacious Monfalcone Apartment (http://bit.ly/2ffU3gZ), or the centrally located Arbaspàa Apartment (http://bit.ly/2zT6TxS)...e for a mini-day holiday full of experiences, in addition to a dip in art, try our kitchen course with a visit to the market (http://bit.ly/2usiO2V).